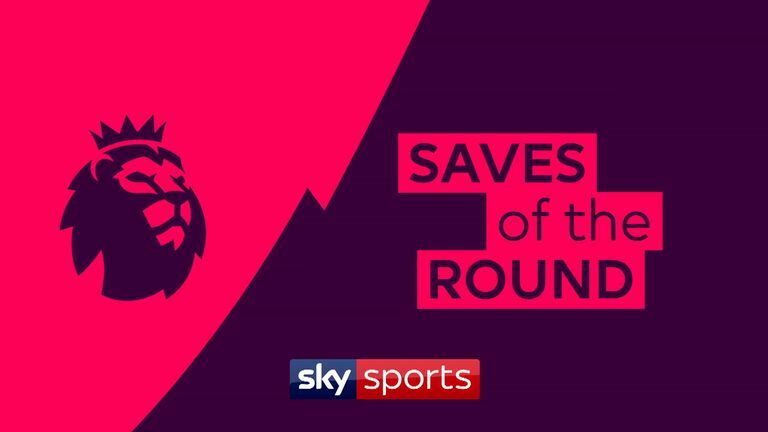 Watch a selection of the best saves from the weekend’s Premier League action, including stops from Ederson, Hugo Lloris and Rui Patricio. Manchester City cruised back to the top of the Premier League after thrashing Southampton 6-1 at the Etihad Stadium on Sunday afternoon but they did require Ederson to make a sharp save to keep out a Danny Ings header. Former Manchester City goalkeeper Joe Hart also makes the list with a fine save to deny Marko Arnautovic from close range in Burnley's 4-2 defeat to West Ham, while Fulham stopper Sergio Rico had to be on his toes to keep out a deflected shot from Huddersfield's Alex Pritchard. Cardiff goalkeeper Neil Etheridge was on the losing team as his side lost 1-0 to Leicester but he did make a fine save to keep Jamie Vardy out late on. Rui Patricio was twice needed to keep out efforts from Harry Kane but he could not stop the England captain from finding the net in Tottenham's 3-2 win at Wolves. Finally, in the same game Hugo Lloris's save to keep out Ruben Neves from edge of penalty area is included.